Socialite Corazon Kwamboka seems to have started her year 2016 on a high note recently after jetting back from Uganda where she was entertaining her Millionaire Tycoon ‘sponsor’. A week after jetting back in Kenya, the bootylicious socialite took to social media to flaunt her new dining table worth $9700 which is an approximate of Ksh 1million. 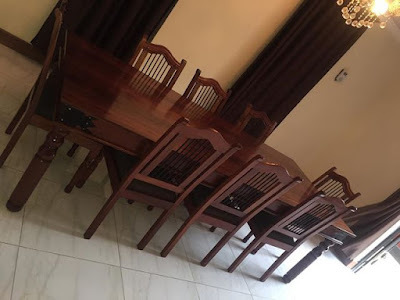 Laying her sentiments on social media the flamboyant socialite claimed that she imported the dining table from Cuba where she had to wait for 3 months before its arrival. And more to that she adds that this is her year and will not hold back from getting what she feels she deserves.